Will Google's new Wikipedia-like service kill the venerable online encyclopaedia? 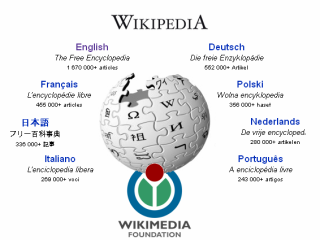 Is Wikipedia in trouble? There's no way to know just yet, but Google has announced that it is in the process of creating a user-generated online encyclopaedia with its sights set on Wikipedia. Google's new service, code-named 'knol' - or 'unit of knowledge' - will attempt to "tie strong identities to contributing authors and those seeking to edit knols". In a blog post on the company's website, Google's engineering vice president Udi Manber said that Google hopes knowledgeable people will create an experience that could have an effect on a host of topics that could go beyond those subjects covered in an encyclopaedia. "Our goal is to encourage people who know a particular subject to write an authoritative article about it," wrote Manber. "The goal is for knols to cover all topics, from scientific concepts to medical information, from geographical and historical to entertainment, from product information to how-to-fix-it instructions." Google will host and provide tools that will help users produce and edit knol pages, but won't edit any of the content. Entries that Google considers to be of higher quality will be given a higher page ranking on the company's search engine. BenQ has unveiled a new digital camera called the X835 that sports 8 megapixels in a compact design. Amazingly, the compact camera manages ISO 2000 in still mode and up to ISO 6400 when recording a movie. Video capabilities include a consistent 30fps recording rate of MPEG-4 video at VGA resolution. Sporting a 2.5-inch LCD and 16MB of internal memory, the camera should be released early next year for an undisclosed price. Intel on Friday showed off what it calls the "world's smallest solid-state drive". According to the company, the Z-P140 is tailored for portable media players and is no larger than a penny, tipping the scales at a weight that is actually less than a paperclip. The drive is faster than most other flash-based memory on the market and reads as quickly as 40MB per second, while writing at 30MB per second. There's no word on pricing, but it's currently available in a 2GB version, with higher capacities coming next year.